I never think before i buy, i see something i want and if i can afford it then i will buy it, its a nasty habit! Love this post! I have just got my first ever job so not really thinking about saving just yet (its a crime to not blow those first pay checks!) but come september, I'll be back to this post. I couldn't agree more about buying things with cash - card is just such an easy way to spend waayyy too much on crap! 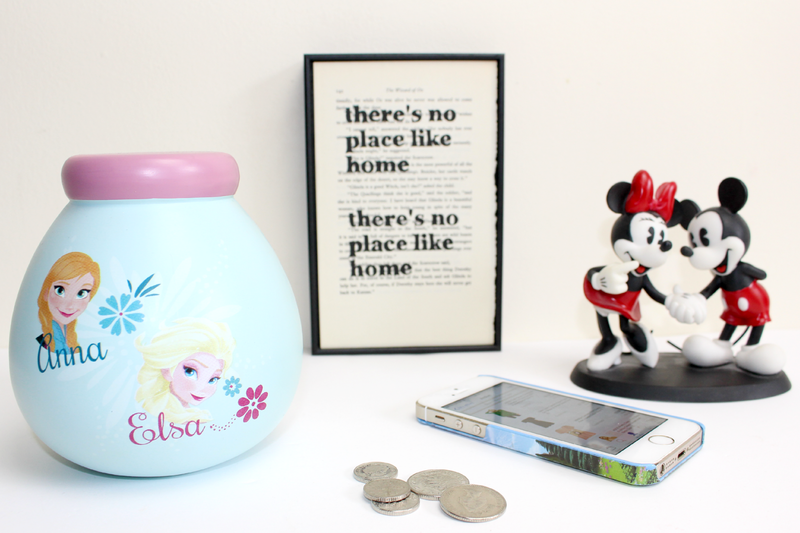 Good luck with your saving...disney here you come! Don't worry I'm 27 and still haven't thought about saving for adult things...I'm working to save for a holiday as well!! Just trying to decide between America or Australia right now! I'm totally the same with the card thing and when I need cash I never have it. I'm so bad for leaving it all on my card and then only looking at the damage at the end of the month! These are some really good tips for saving, something I need to do more. I'm also awful at just putting everything on my card, I'm sure I think it's not real money! Love these saving tips/ideas you have! I'm totally gking to need them as i too need to start saving for my holiday. I am definitely taking tips from this post. I'll definitely be doing some of the same things as I'm also desperately trying to save for a trip to Disney! I definitely need to implement these tips after I come home from Dublin! I've always said Cash Is King because it actually feels like you're spending money and then you're less likely to do it! Ebay is a god send for saving money. I too need to sell some stuff! Have a wonderful time in Orlando - it truly is magical. Gosh I really need to take some of these tips on board. I am SUCH a waster when it comes to food, must stop buying lunch when I could easily make my own sandwiches for a fraction of the price! If you want to get into saving, Google "Dave Ramsey". He's an American guy who's all about paying cash for things, not using credit cards and budgeting your money so you're telling it where it's going and it doesn't get spent on frivolous things.